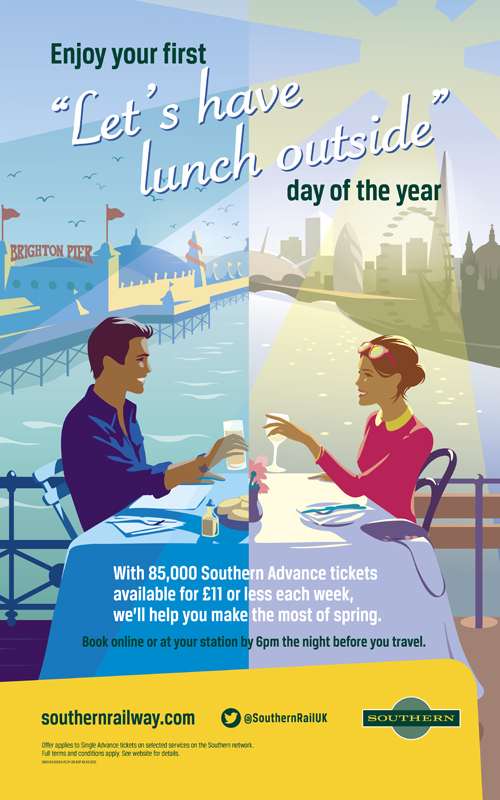 Gary Redford’s latest artwork for Southern Rail is on train platforms across the South East now. Gary once again worked with the creative team at VCCP to create this striking artwork, which is also being used across online media. To see more of Gary’s work click here. Gary Redford is represented by Meiklejohn. Published on 1 April 2015.